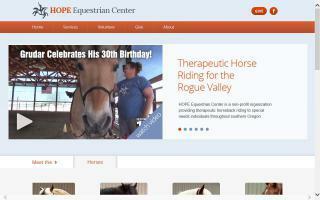 Jackson County, Oregon Horse Directory - O Horse! Serving the Applegate, Illinois Valley, Grants Pass, and Rogue Valley areas of southern Oregon. Quality work - Dependable - Reasonable rates. Balanced, correct regular shoeing & trims, hot or cold. Custom/Therapeutic/Veterinarian prescribed. Andalusian horse sales and breeding, black Andalusian stallion, and information about the Andalusian horse. 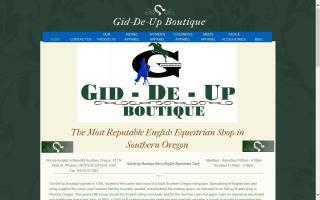 All equestrian needs, tack and saddles. 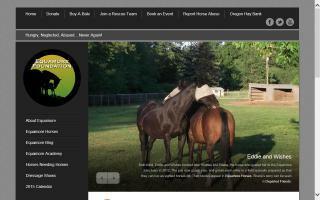 Our goal is to make equestrian sports elegant and affordable. We strive to keep up to date on medical advancements to provide optimum health for horse and rider. Cataloger of affordable miniature horse, English and Western equine supplies. 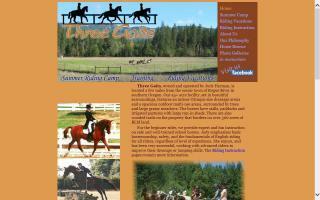 Laura Dundas offers training for all disciplines, show or pleasure, and riding lessons for all ages. * Using loving, understanding, and firm teaching to create an all-around horse with a knowledgeable rider. "A horse should love what it does, understand how to do it well, and enjoy its owner's company. The owner should feel the same way. 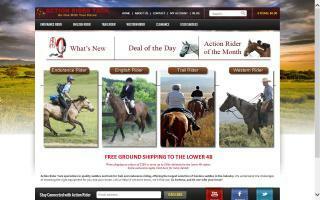 If that is not happening with you and your horse, perhaps some instruction can get you there." We also offer regular full-care boarding and over-night stabling. Our facility is a small, quiet, and relaxed; seven stall barn with lots of pasture and an indoor arena. We are located 40 miles north of the California/Oregon border, just minutes off of Interstate-5 on the outskirts of Medford, Oregon. Located on 14 acres we can provide safe overnight stays or month to month. We have an 8 stall Barnmaster barn as well as 15 outdoor pastures and pens - all covered and secure for safety. We are one mile off the I-5 and can accommodate the smallest horse trailer to the large big rig. We also can take overnighters on a moments notice; however, reservations are encouraged. Our resident and day summer camps for girls ages 9 – 17 are a perfect match for anyone who loves horses and wants to learn and perfect proper riding techniques. For those who desire it, camp can be an intensive riding experience, with five or six hours per day in the saddle. However, we always tailor each session to fit the experience, skills, and comfort level of those attending; no one need feel pressured. After all, this is fun! Check out our summer camp pages for more details, camp photo galleries, and some testimonials.